I believe education is key in the development of Africa. Many governments across the continent are taking this issue seriously with the Ugandan government providing free primary and secondary education. African parents go through a lot to educate their children. They will spend all their life’s saving to ensure all their kids make it to university. Scholastic materials such as pens, pencils, papers, notebooks, textbooks are central to the education process. Yet, the classroom is continuously being invaded by new technological tools that seek to redefine how kids in school study. Among them is a tablet. A device that very few Africans know, used or perhaps have heard about. How could it possibly change the face of education? Is this a joke? Hang on. A tablet is an electronic device that you can think of as an in-between smart phones and laptop computers device in terms of computational capabilities, usage cases and form factor. Microsoft has been experimenting with these devices for years in the past, but it wasn’t until apple launched the iPad back in 2010 that anybody would make sense of these devices. Tablets are operated using touch-screen interfaces, your finger being “the mouse” so to speak. The use of touch-screen user interfaces is a natural extension of how we humans interact with physical objects in the real world. This among other reasons have made tablets popular with some analysts predicting their overtaking of conventional personal computers. Tablets given the infrastructural stand point in Africa and in Uganda in particular naturally fit as medium through which digital educational content can cost-effectively and rapidly be delivered to [remote] class rooms or students. Tablets unlike [desktop] computers, or laptops are portable mobile devices that run off a charged battery. In Uganda where grid power is still a remote dream in most parts of the country, it becomes obvious that a device that runs off-grid stands chances of being viable. Tablets will build on the success that mobile phones have enjoyed for these same reasons. Secondly, now that tablets could easily be powered, they come with significant memory capacities that could accommodate offline an entire basic school library. With say 16GB of in-built memory, a student could be equipped with an entire curriculum, a few government-sponsored free eBooks, one or two commercial eBooks, 20+ educational apps and other learning tools. Wikipedia the famous encyclopedia I respect so much already provides a striped-down offline version of Wikipedia in a DVD format for students which is only about 4GB. This content can be reformatted for the tablet platforms and freely available to millions of students exposing students to one of the biggest repository of human knowledge on earth. Thirdly tablets also come with 3G connectivity. Each telecom is now rolling out an all-out 3G cellular network across the country. What does this mean? 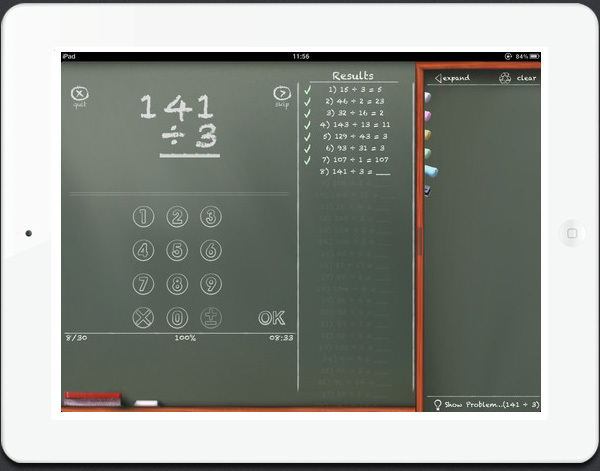 This means that teachers can easily “push” home work to students in an instant. Government can also remotely sent eText books or eBooks to schools or students in an instant because of the low cost of distribution. Corruption or theft of such resources by dubious head teachers is significantly reduced if not eliminated. Students can also learn from each other via some sort of peer-to-peer learning. This could be very beneficial for rural students who often get less quality education and therefore can’t favorably compete with their fellow urban counterparts or even other students from all over the world. Technology can narrow this gap significantly and also reduce the tendency of rural-urban migration since one of its causes — search for quality education– will be significantly curtailed. Suddenly, we shall have kids that grow up, study and later develop their home areas. Fourthly, tablets won’t only encourage content consumption (reading) as is the case with books, but also content creation. I believe with these devices, students will not be able to read their class notes, but also create their own notes, share and answer their classmates’ questions with the right Apps installed. This will be a new paradigm to learning where students are not just fed at school by their teachers, but also challenge and create knowledge. Skeptics will be quick to point out to me the cost these cool devices given the income levels in Africa especially rural Africa. While the current market prices for the cheapest tablet ($199) aren’t affordable yet (even for those in the developed world), with mass adoption, competition and technological advances, cost is bound to be trivial. That was the case with mobile phones 5 -10 years ago. But now, there are more phones than light bulbs in Uganda. The phone is unbelievably a house hold item even in rural Africa. Teachers too, need to be educated in these technologies before they can use them. The learning curve, however, shouldn’t be much of an issue, because anyone who can use a phone (which is all teachers and some students), can mostly likely get their way around a tablet. My major concern, however, would be the government/school policy on technology in schools. I studied in one of the top secondary schools in Uganda all of which were Tech-averse. No radios were allowed and being found with a phone was tantamount to expulsion supposedly because they were a cause of distraction, misbehavior and perhaps crime. With these stringent measures in place, it leaves me wondering the possibility such technology ever making in-roads to Ugandan schools. Policy makers must adjust to the times, grab the opportunity otherwise other countries will remain to been glimpsed light years away from Africa.